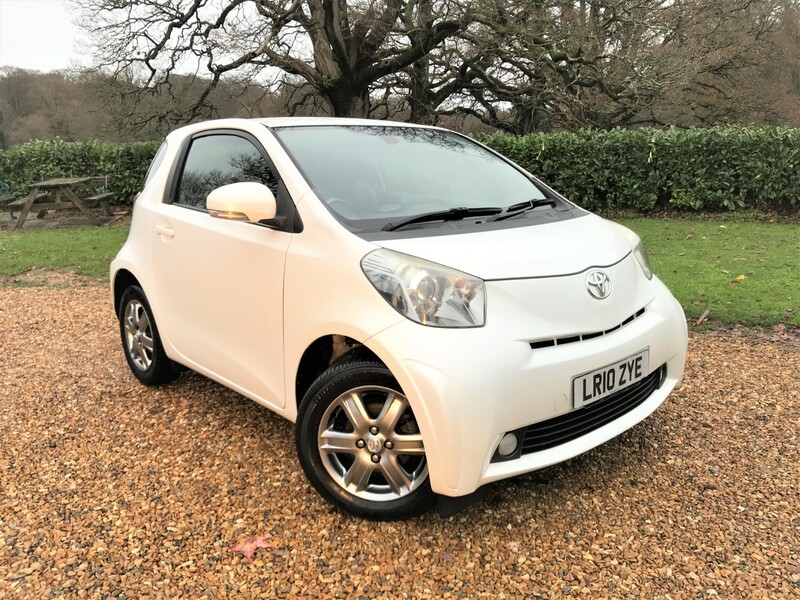 Our Pearl White iQ 2 features keyless entry, full leather interior, keyless start, climate control, auto lights and wipers with AUX connection for listening to music, it has an MOT to February 2020 with no advisories and boasts a near full Toyota service history record, further features include 15 inch gloss anthracite alloys, heated, electrically folding wing mirrors with front fog lamps, it has been serviced at 11k, 14k, 25k, 37k, 48k, 56k and 65k all at Toyota Main Dealer and most recently at 79k in May 2018, its the level of detail that went into the design of the iQ that make it so special, to achieve a refined feel that goes beyond all rivals, Toyota paid meticulous attention to the quality of finish and detail inside and out. The consistency and quality of the design elements create an edgy, refined feel, it even has a triple-layer acoustic windscreen, which insulates and reduces noise with a soft interlayer between the sheets of glass, being an iQ it also boasts bi-halogen headlights with a smoke-tinted finish, the insurance group is an extremely low 4 out of 50. The tyres have good levels of tread across all four wheels, there are 9 airbags fitted as standard, helping to make the iQ a safe place to be. There is a CD Player with AUX Input too, enabling playback via smartphone or iPod etc with the relevant cable. Small Cars Direct is a business driven by a long-held passion for cars and excellent customer service.